PISA in Focus reveals that mathematics self-efficacy is strongly associated with mathematics performance, and that disadvantaged students are less likely to feel confident about their ability to tackle specific mathematics tasks than advantaged students, even when comparing students who perform similarly in mathematics. Countries with higher mean performance in mathematics are those where students are more likely to report feeling confident about being able to solve a range of pure and applied mathematics problems. However, a positive relationship can also be seen within countries: students who have less mathematics self-efficacy perform worse in mathematics than students who are confident about their ability to handle mathematics tasks. On average across OECD countries, mathematics self-efficacy is associated with a difference of 49 score points in mathematics – the equivalent of one year of school. In 23 countries and economies, the difference in mathematics performance that is associated with students’ self-efficacy is 50 points or more; in Liechtenstein, Chinese Taipei and Viet Nam, the difference is at least 60 points. The relationship between mathematics self-efficacy and mathematics performance is mutually reinforcing: better performance in mathematics leads to greater self-efficacy. But students who have less mathematics self-efficacy are at greater risk of underperforming in mathematics, regardless of their actual abilities. Why? Because when students do not believe in their ability to accomplish particular tasks, they do not exert the effort needed to complete the tasks successfully. How can education systems and families encourage students to be proficient and self-confident in their abilities in mathematics? First, families can help students to become confident learners by giving them support and encouragement. In 2012, 11 education systems distributed a questionnaire to the parents of students who took the PISA test. The responses to this questionnaire reveal that, when comparing students with similar academic performance and socio-economic status, those whose parents expected that they would enter university generally reported greater mathematics self-efficacy than those whose parents did not hold such high expectations for them. 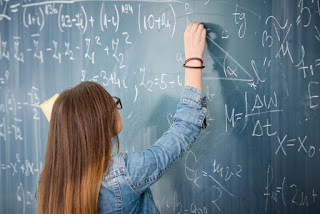 Second, PISA reveals that there is a strong connection between how confident students feel about being able to solve specific pure and applied mathematics problems, and whether or not they were exposed to similar problems in class. However, while almost all students who reported that they had frequently encountered pure mathematics problems feel confident about solving such problems, task exposure is less strongly associated with self-efficacy when it comes to applied mathematics. This difference could be due to the fact that applied mathematics problems are, by nature, more ambiguous and diverse, and solving applied mathematics problems generally requires a good understanding of both the underlying problem and the context in which the problem is set. What PISA tells us is that, in mathematics, seeing (mathematics tasks at school) is believing (in yourself). PISA á la loupe No. 56: Quelle confiance les élèves ont-ils en leur capacité à résoudre des problèmes de mathématiques?